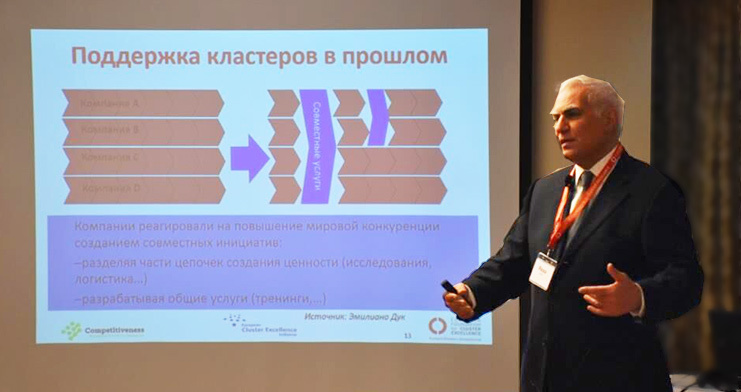 In January the city of Shymkent hosted a new chapter of the Foundation’s training in SME development and innovation. Organized in coordination with consulting firm Competitiveness, this week was the third of a total of 6 training weeks dedicated to Cluster Excellence Management. It was delivered to the team from Kazakhstan Industrial Development Institute (KIDI) and other cluster actors in the country.